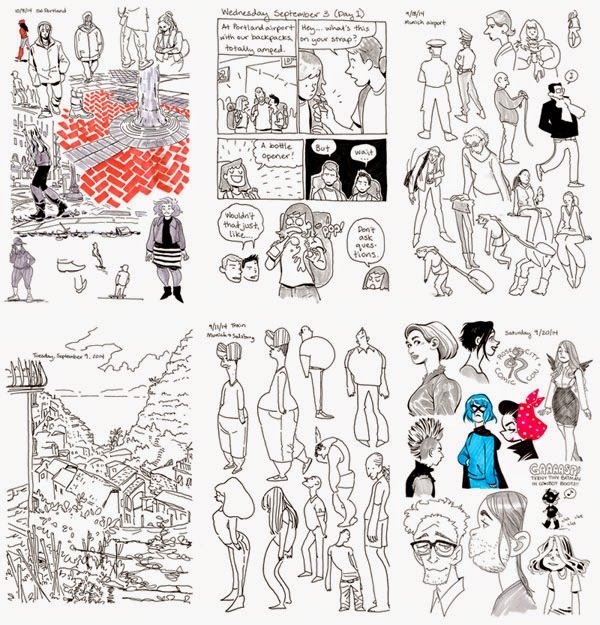 Fresh off her release of sketchbooks from her European trip through Monkeybrain (which was part of my honorable mentions for 2014), Natalie Nourigat released today on Gumroad an entirely new set of 100 pages of sketches. Broken into four smaller files, the "gesture drawings, character designs, short comics, environment studies, fan art, and general doodles" (as Natalie refers to the material) are available as a "pay what you want" offer. That means that the reader decides how much they want to give Nourigat for the work, either before or after downloading the material. Look at the variety of the work by Ms. Nourigat! I'm obviously a big fan of Natalie's work, and I love getting to see this type of process-level material. The more I read comics, the more fascinated I am with how they are created, so looking at different brush strokes, how markers vs watercolors change the look of Nourigat's creations, and similar details are extremely appealing to me, and I'm happy to watch her progress and grow as a creator. If you want to explore Natalie's work, either in more detail or for the very first time, this is an excellent opportunity to do so. 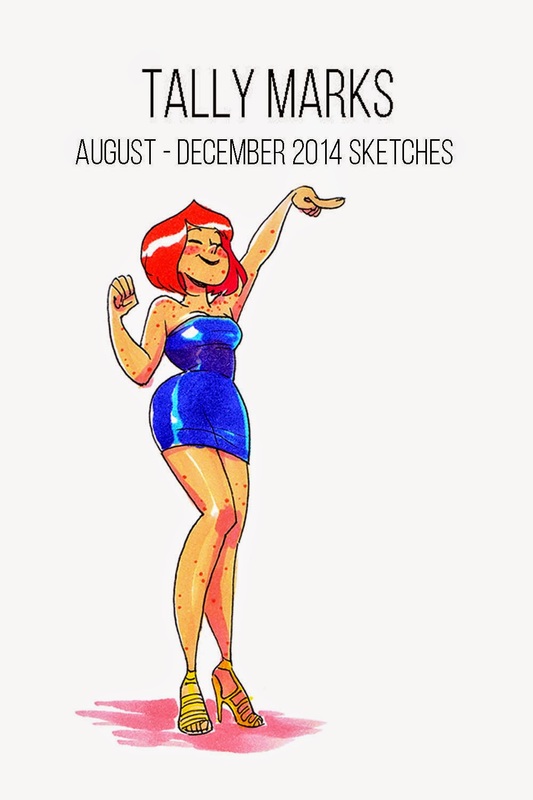 You can pay what you want for Nourigat's new sketchbook here. Natalie's website is here, for more information and links to her other comics.